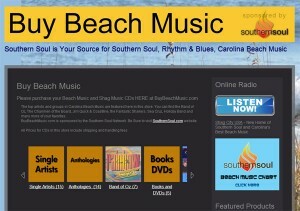 In February 2005, I launched my CD store featuring Beach Music compilations and artist albums. I teamed up with KHP Music i Dunn to help fulfill the orders and have been building the inventory ever since – We presently have over 180 beach music cds for sale. The site has changed a few times – click below for the current site.